President Abdulla Yameen Abdul Gayoom, on various occasions, has reiterated one of the most important aims of the government is continued economic development and establishing social peace. The end-to-end initiations by the government across Maldives portrays the tireless efforts of President Yameen to make Maldives an economically stable country. This week marks the completion of a few mega infrastructure projects conducted in the country. The government has maintained every infrastructure development project is simultaneously related to the enhancement of the economy. The completion of the Sina-Male’ Bridge is a remarkable achievement to further advance the economy of the small island nation. The bridge connects the two largest economic hubs in the country. When the government first initiated the bridge development project, it was faced with a lot of questions, doubts and criticism. However, despite the challenges, the government has successfully completed the largest infrastructure development project to be ever conducted in Maldives. Moreover, along with the bridge development project, the government has simultaneously conducted various other related projects, including the Male’ Ring Road project and the development of a link road between Hulhule’ and Hulhumale’. 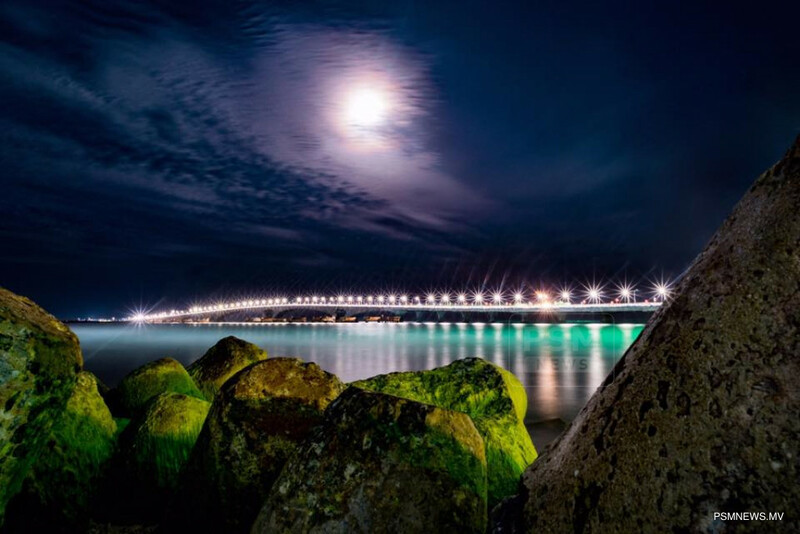 The bridge was constructed to connect the capital city, the main gateway of Maldives, Velana International Airport and the city connected to the hopes of all Maldivians, Hulhumale’. There are several economic activities conducted in the three areas of the greater Male’ region. It is evident connecting the three crucial locations will further enhance the economy of the country. Connecting Male’-Hulhule’-Hulhumale’ will create more job opportunities and open new business opportunities. Goods which are carried via sea transportation will be easily carried via land which will minimise the cost and speed of transportation and services. For decades, Maldivians has dreamt for the day Male’-Hulhule’-Hulhumale’ will be connected. President Yameen has made those dreams a reality. The government has successfully opened a new chapter to further advance the economic development of Maldives.